There’s much to be thankful for this lunar new year, and usually one can look forward to plenty of bonding time, along with a smorgasbord of tantalising food. Hot on the heels of last year’s 2017 successful Reunion Lunch, Millenia Walk brought it back again this year to highlight and give great dining recommendations for your lunar new year celebrations! Ushering in the Year of the Dog will be a celebration of modern takes on traditional recipes, along with completely new additions to spice up your feast. 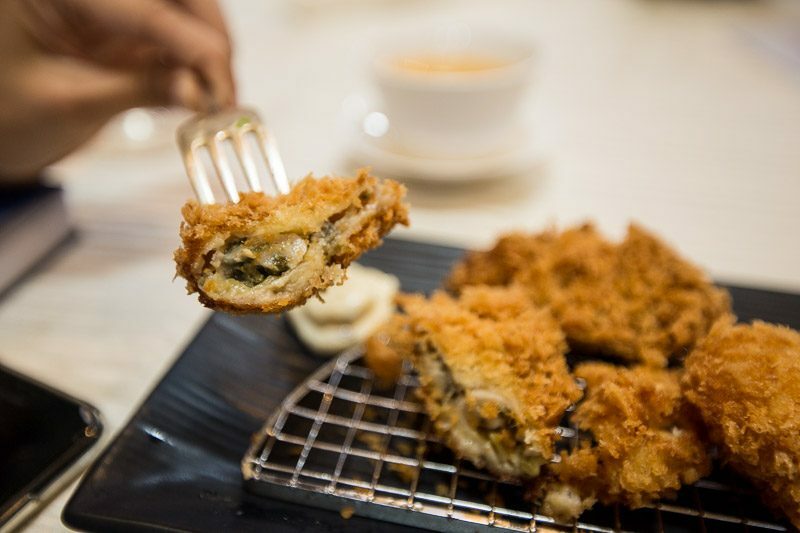 Here are 10 Chinese New Year culinary ideas from Millenia Walk’s F&B establishments. Plentyfull’s approach to food is a holistic one, with its contemporary café concept. 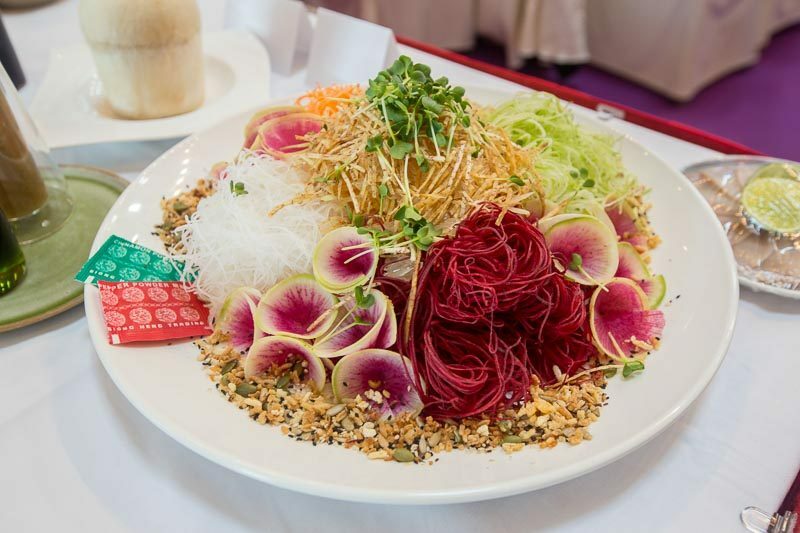 The Plentyfull Blossom Yu Sheng ($48.80 for three to six pax, $68.80 for six to 10 pax) is a take on the traditional Yu Sheng, and incorporates flavours of South Thailand and North of Malaysia, using pineapple and Thai ginger dressing and non-traditional vegetables like green papaya, shredded beetroot and watermelon radish. In place of the usual salmon, they have also used cured Yellowtail Hamachi to give a bright, refreshing accent to this novel twist on a classic. You don’t have to be a vegetarian to love the nutritious dishes that Elemen 元素 prides itself in. 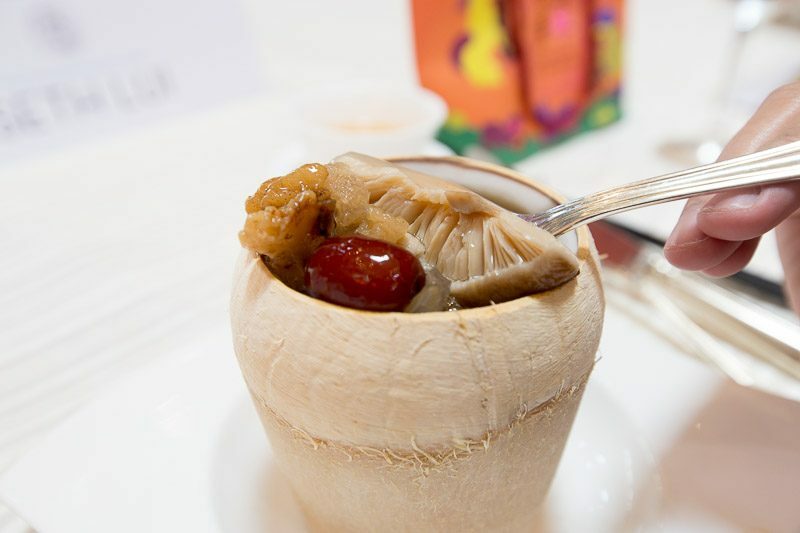 Restore your health with Elemen 元素’s 5 Elements Soup, which comprises of snow lotus seed, bamboo fungus, Chinese golden fungus and red dates. Served in a coconut husk, you’ll catch an aromatic waft of the fruit itself on the first whiff before sipping on an earthy stock. Carve out the sweet coconut flesh, and you’ll have a sweet-savoury addition to this hearty dish. Don’t miss out on the Elemen Prosper-licious 8-Course Menu 新春8宝庆团圆 from 12 February – 2 March ($108.80++ for two pax, $208.80++ for four pax). Being the first chopped salad brand in Singapore, Tokyo Chopped Salad is set to redefine your idea of how mundane eating your greens can be. 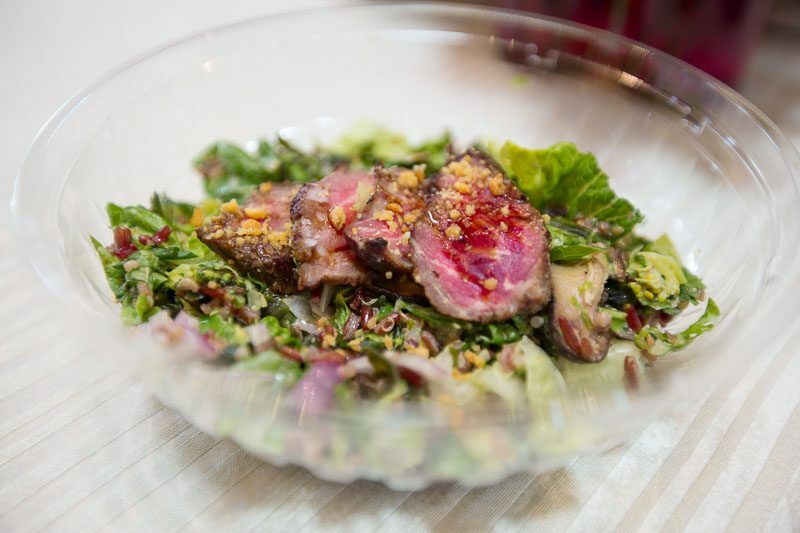 Dressed in specially-crafted dressings made by award-winning Chef Teppei Yamashita, this lunar new year, they have prepared a bowl of goodness with their Premium Beef Tataki Salad ($14.80). Be treated to thinly sliced wagyu beef with shiitake mushrooms, red onions, broccoli, snow peas, quinoa, brown rice and romaine lettuce. The result is a crunchy, refreshing and savoury recipe that has varying textures, making every last bite a delight! Saboten has a long-standing history in Japan, established in 1966, it is one of the largest tonkatsu restaurant chains in its home country. It’s little wonder that this Chinese New Year, they are featuring Oyster and Hotate Katsu (Two pieces of oyster for $10, one piece of hotate for $6.50, Gozen Special for $27) — Hiroshima oysters and Hokkaido scallops, perfectly breaded and deep-fried to golden perfection. After biting through a crunchy exterior, you’ll be met with a plump, sweet and juicy interior that pairs immensely well with their homemade sauce. Elemen 元素 is doing a double feature this festive season, as it wishes to share an abundance of tantalizing dishes with visitors of Millenia Walk. If you’re a fan of silky tofu, then you’ll be keen to try their Charcoal Beancurd With Golden Oyster Mushroom. Its appeal lies not only its unique grey tone, but also in how the contrasting textures of the slightly crispy outside balance the soft and supple tofu itself. Treat the family to a memorable reunion meal at Elemen 元素,with their Elemen Prosper-licious 8-Course Menu 新春8宝庆团圆, available from 12 February – 2 March for $108.80++ (two pax) and $208.80++ (four pax). 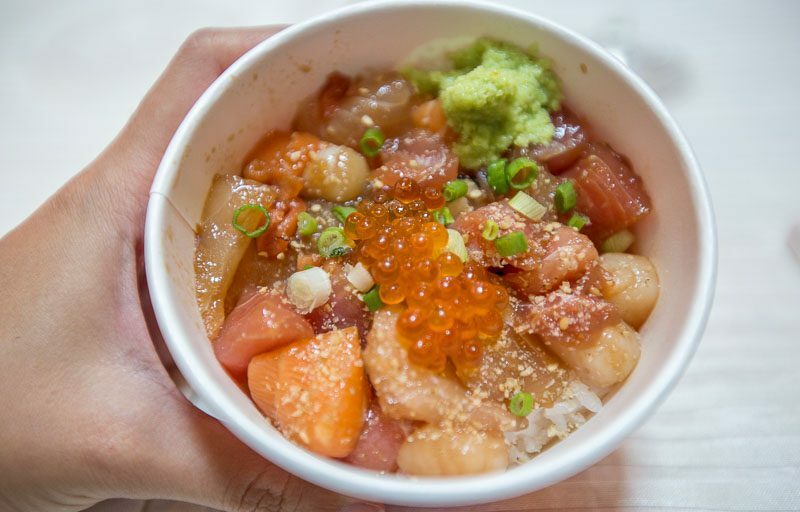 Rice bowls are all the rage right now, and with Teppei Syokudo, you’ll be able to tuck into a filling bowl of their signature Kaisendon ($16) during this prosperous lunar new year. It features six different types of seafood and sashimi, drizzled with their signature sauce and topped with a generous handful of ikura. The cubes of raw seafood are fresh, and the portion works for a satisfying meal on-the-go. The cherry on top is the salty burst of flavour from the ikura that brings the entire bowl together. Want to try something different this Chinese New Year? Why not give Thai Affair a shot, with their Moo Ping ($10 for four sticks, with a portion of sticky rice). Switch up the festive menu by biting into some succulently grilled pork skewers, accompanied by a basil Thai chill sauce. 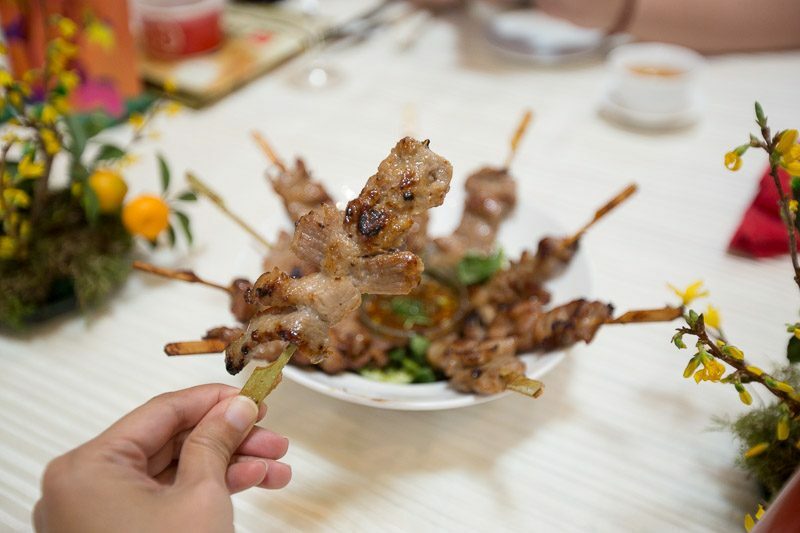 The grilled skewers have a nice char to them that lends it a smoky note, while the sweet pork meat is delectable and addictive. There is a nice caramelisation of the marinade, so it’ll be hard to stop at just one! Take on casual dining Nippon-style, with Uma Uma in the Year of the Dog. It’s a ramen and izakaya restaurant and bar that features yakitori and kushikatsu for honest meals that’ll fill any growling belly. This lunar season, they are highlighting the Mazesoba Chasiu ($17), one of their signature dry ramens, with a slightly spicy edge, complete with chasiu bits, bamboo shoots and leeks. 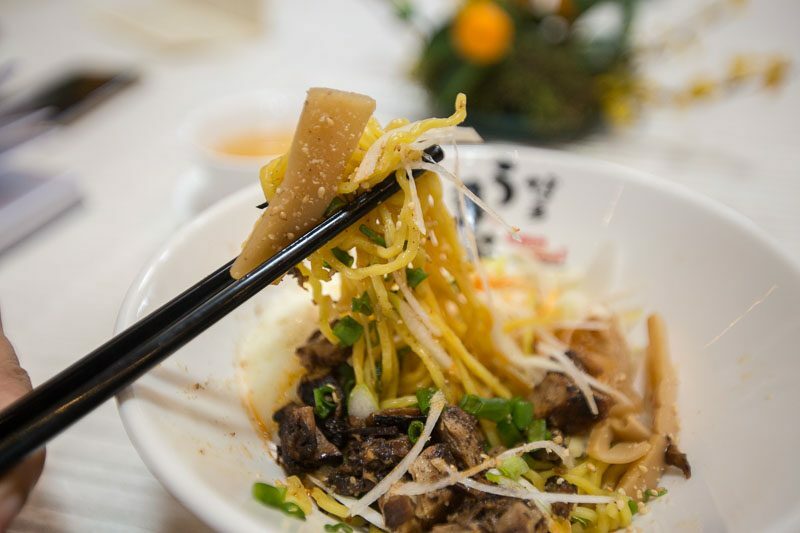 The noodles are springy and generous, along with the roasted, flavourful chasiu. If you are a fan of interesting versions of ramen, this will be right up your alley, as the leeks provide a crunchy texture and a hint of bitterness to this recipe. Beano has been serving up delicious and nutritious soymilk and beancurd desserts since 2004, using only the finest non-GMO soybeans from Canada. 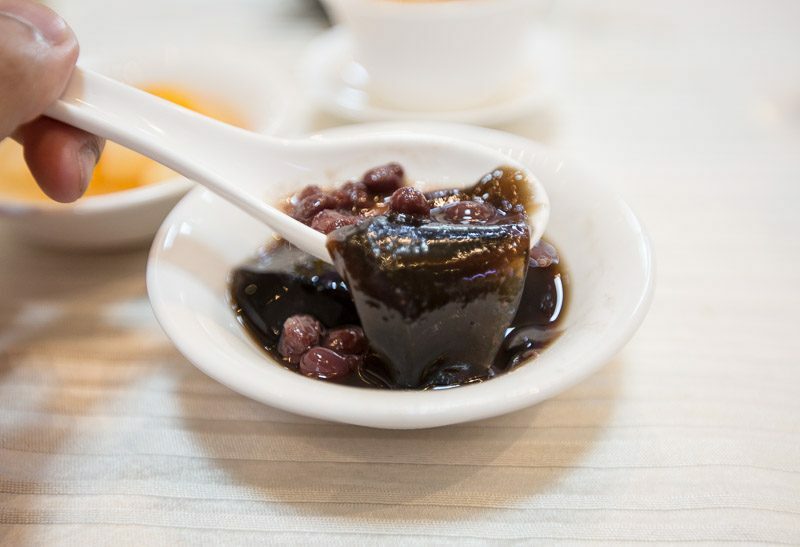 Indulge in their Traditional Beancurd/Grass Jelly/Ice Jelly (from $3) desserts this bountiful new year and delight your family with luscious and not-too-sweet palate cleansers that will round off your reunion meal perfectly. Seeking a more indulgent end to your lunar celebrations? The Dark Gallery has just the thing for you. 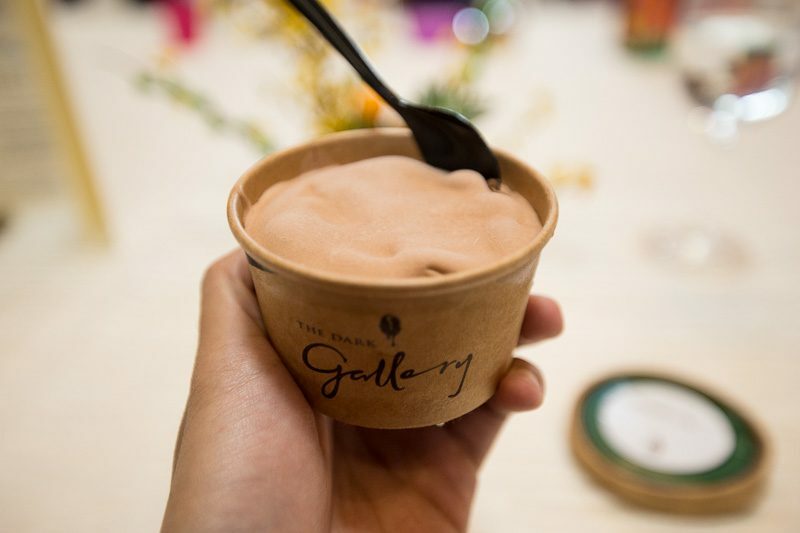 Their 68% Ghana Single Origin Dark Chocolate Ice Cream ($5 per single scoop, additional $1 for topping) is prized for its high cacao content and complex balance of bitter and sweet. The ice cream is velvety smooth and decadent, making it an exceptionally rich way to end your feast. 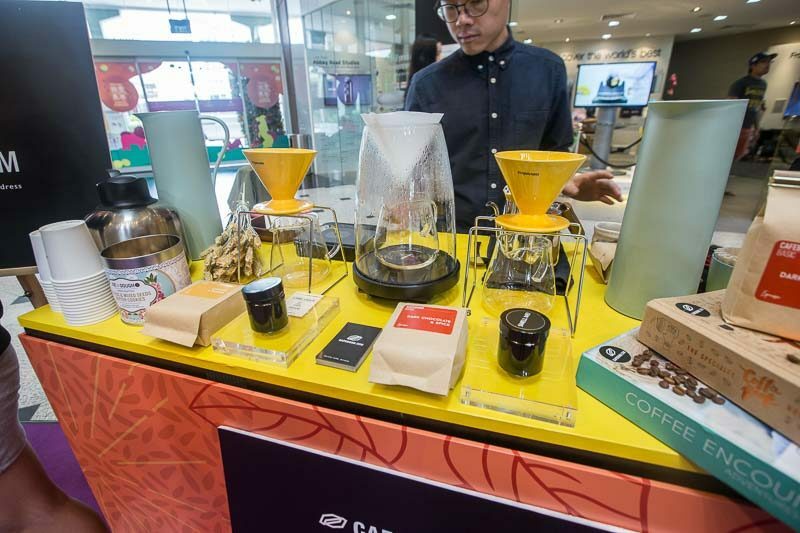 Java lovers will delight in The Bean Shop by Cafebond.com as they are Singapore’s first speciality coffee bean-only retail store. With specially-curated selections of freshly roasted coffee beans from over 20 top cafes and roasters around the world, including Melbourne, Tokyo and Canberra, you’re bound to find a roast that’ll catch your attention on the first whiff! Trying Cafebond Basic’s Single Origin Coffee ($14 for 200g) from Brazil, which is hand-brewed on the spot, means every cup is fresh and piping hot. It also allows you to taste the bitter edges of the beans, followed by a bold, strong finish that is smooth and has nuances of dark cocoa nibs.